I have a problem with Google's Search Console. 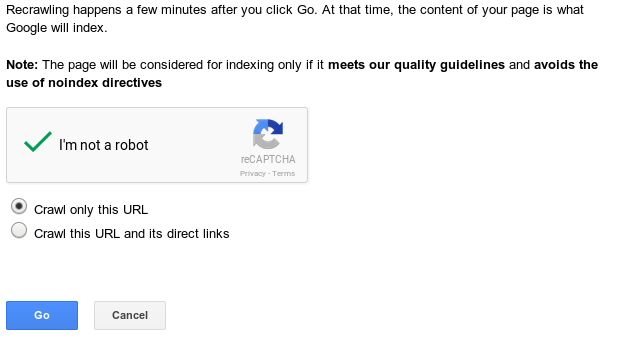 When I "Fetch as Google" and status is Complete, I click on "Request Indexing", fill in the Captcha and Submit. Nothing happens after i click on Submit, i see a loading circle for a split second and then I still have the submit window as if I didn't fill it. If it still doesn't work for you, I'd suggest trying different browsers: Firefox, Chrome, Safari, and Edge. Whichever alternates you have available. Not the answer you're looking for? Browse other questions tagged google google-search-console googlebot indexing search or ask your own question. 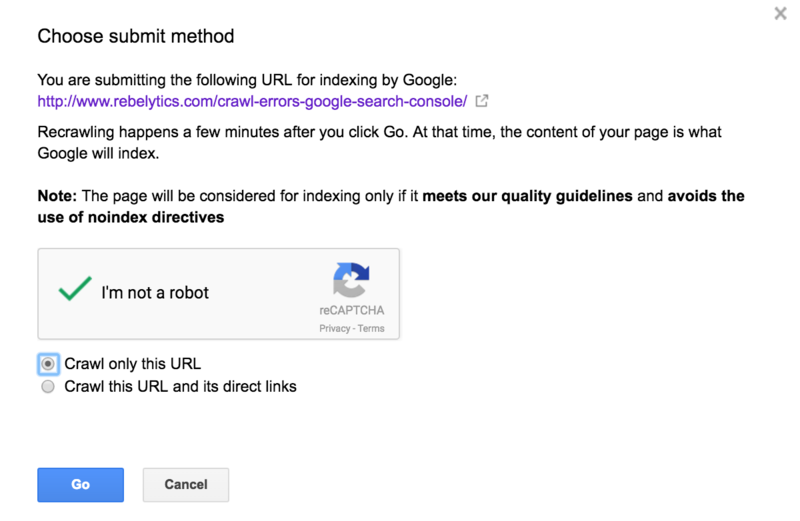 What causes an unknown error when trying to submit a page to index after fetching as google? Does Google discount links via redirects…conditionally?